In just the first three hours following an announcement early Tuesday morning, the 2020 presidential campaign of Sen. Bernie Sanders (I-Vt.) says it raised more than $1 million—with the number still climbing—proving the army of small-dollar donors which fueled his 2016 campaign are still on board, 'feeling the Bern,' and ready to put their hard-earned money behind the Democratic candidate of their choice. This is a grass-roots thing, it’s what the people want, what they are willing to spend their money on. And then Harris states she is not a democratic socialist. People, humans, are social animals, are they not? I think by the end of the day Harris will be blown outta the water. I will be donating 27 bucks at a time when I have the 27 bucks to spare, I hope you will too. 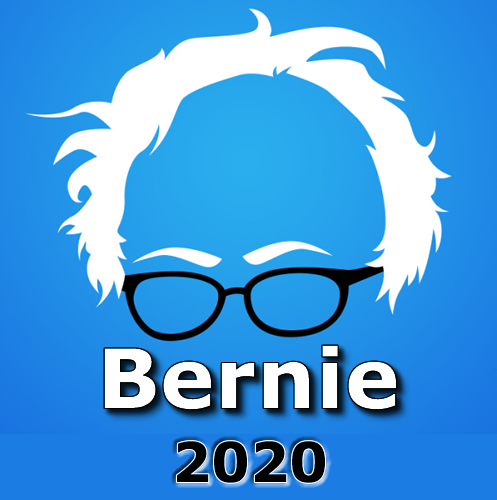 As one who supported Bernie financially in 2016, I will not send him a penny for 2020, if he continues to let himself be a sheepdog for the Democrats. It is clear to me that Bernie has no chance in 2020 but will be used again as a progressive, shill by the corrupt, democratic, elite ( the super delegates) to make many well meaning, albeit naive people, believe that the dems. are the party of change, when nothing could be further from the truth! I was fooled once even though I knew better and said HRC because she was so corrupt, would probably be the one selected for nomination, but I was hoping I was wrong. I was fooled once; but I will not be fooled twice! I should be getting my tax refund soon. I suppose their will be semi loads of corporate cash flowing in Trump’s direction to offset a lot of $27 donations. And many ready to foolishly step up for another round of those tax cuts few people actually saw, and of course another 5-50 miles of fence. I think Bernie will again take the country by storm. There won’t be any more fence constructed. The more fence Trump builds, the more apparent it becomes that the fence is a waste of money, and the less value fence rhetoric has with Trump’s base. Trump will serially tell his base that the Democrats are preventing progress on the wall. The more lies he tells them, the more they love him. Keeping the faux border crisis rhetoric heated up is Trump’s stock in trade. Actually building something of value is not. Sanders goes to top of my list - he has the long broad history and track record of true progressive others lack, though I’m a bit worried about his age. Needs to bolster racial equity and inclusion where he proved to be a bit tone deaf on the last run, though many progressive people of color backed him, whereas the people of color old guard civil rights vest supported Clinton. His campaign needs to jettison any hint of issues with gender equity and sexual abuse. 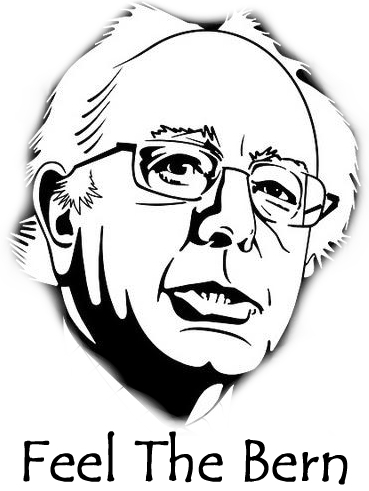 The USA needs Bernie Sanders to be President if there is a prayer of recovering from the damage done and to make way to build a better country. What Bernie needs to do is PROVE HE HAS A PLAN TO OVERCOME THE INEVITABLE RIGGING that will take place in the Democratic Party to stop his nomination. Failing this means he gets his message out without the aim of being President. Hell, Trump was prepared to “scream rigging” like a tittle banshee, when there was none, if he failed to get nominated. Bernie, I’m sure, knew for a fact that the nomination was rigged against him and yet he said nothing. So, let’s see that plan to overcome the rigging Bernie! Be our next President! Caveat emptor! Hillary and her band of banksters may sabotage Bernie’s campaign again. It is easy to understand your disappointment that Bernie supported HRC in 2016 once he lost the Primaries. However, Bernie is a man of his word and he promised to support the Democratic winner of the Primaries. It was tough to see him support that corporate warmonger, but it would have been more disappointing if he had broken his promise. Lets face it the man has character and will keep his word, despite his strong disagreements with Hillary. If you can think of a better candidate for 2020 that is capable of defeating Trump I would love to hear about it. I supported Jill in 2016 but this time around we need a candidate that can win. At last a genuine candidate that represents WE THE PEOPLE. Thus far the bunch of candidates that have thrown their hat in the ring are phony hypocrites that refuse to break their ties to corporate pac money. Bernie is the only one in the (Dem) field that has been talking the talk and walking the walk since the beginning of his career, 40+ years. The rest…not so much. Thanks for supporting the Green Party, in the past. I think that any of the democrats running for POTUS in 2020 could defeat Trump if the elections are honest; but in my opinion, the fix will be in, because America does not have a president, it has a mafia DON! I recall being completely disappointed, an ugly sense of betrayal, by Bernie caving before the 2016 convention, when he, the ‘man of his word’, said he’d take it all the way to the convention and contest it. He didn’t. Although I was an enthusiastic Sanders supporter, when he caved I voted Green, and still find their platform resonates with my core beliefs and principles. The fact the ‘debate’ remains confined to only two choices, that ‘capable’ issue yet again, underscores how entrenched the duopoly remains. I would have liked for Bernie to go with the Green Party, or Democratic Socialists of America, and wish such a scenario were realistic in our rigged electoral system. A little Lenonesque imagining going on. I can’t help but shudder that we’re 21 months . . . one year and nine months . . . away from the 2020 election, with all this activity of declaring and campaigning, raising funds. It seems virtually perpetual. I assume one major reason for dragging the process out to infinity (beside the buckets of money to be made) is to give us the appearance of a functioning democracy, when in reality we’ll face, in the end, a choice between two candidates who have already been chosen for us—unless, of course, we can find the courage to vote Green, independent or write-in. I am in. $27 dollars now and $6 a month ( possibly more ) is a small price to pay for a good policy fight; a no-holds barred event between the status quo and real progress for America’s 99s and the other 96% ( non USAins ). We must do this.
" Saving the planet is now a full-time job. " Which 2 candidates? Please name them since you know. What will the Electoral vote be? Politics has always been 24/7 365. Now it’s just not always being done in a smoke-filled room by white brahmins.